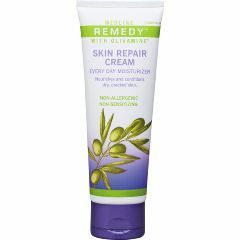 Best ever skin repair cream. Safe. Fast acting skin repair, . Fast acting skin repair, . Love the fragrance. Reasonably priced. Hospital Employee. Elderly. Safely used with gloves. Employed at hospital where I was first introduced to this product. Can safely be used with medical gloves. Great for work &amp; personal use. Love the fragrance.